Absolute Beach Frontage! What an awesome location! NEW LISTING GET IN QUICK FOR THE SUMMER MONTHS! 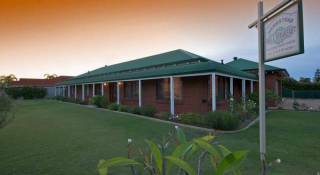 Owner will provide a complimentary bottle of Margaret River wines with chocolates on arrival. Minutes away from Cafe's, gift shops and other speciality shops. The apartment is situated in a secure complex with undercover parking. Rockingham is known for its wild marine life, nature walks and awesome little cafe’s only 20 minutes from Fremantle you really feel like you are on a break as soon as you step foot here. We live close by so we are on hand to help with any issues that may arise. A deposit for the agreed amount on booking must be received before this booking. The booking is only secure it when the amount shows in the bank account or proof of deposit is sent and an confirmation email has been sent out. In some instances we may accept credit card payment hold and a deposit is not required to be paid from the account if any term and conditions are not met a an automatic payment will be deducted from your credit card for damages or excess cleaning of the deposit amount. Please ensure payments are made within the specified time limits or the Booking may be cancelled automatically without notice or liability to you. If you have paid more than the deposit or paid in full and cancel your Booking, Management will endeavour to re-book the accommodation. If we are successful in re booking the accommodation, you will be refunded the portion that we are able to re book (minus the deposit). The maximum that we will retain if we are unable to re book the apartment is equal to one weeks rental costs. Should you be eligible for a refund it will be made through your chosen payment method at time of Booking only. On rare occasions it is necessary for Short Rental Perth to allocate a different apartment than the one allocated at time of booking. You will be advised by the Bookings Manager should this be necessary. • Parties and Functions are strictly prohibited unless the permission of the property owner has been sought and given. NO business is to be conducted on the premises and only the stated amount of guests at all times. If our cleaners are kept waiting you will be charged at the hourly cleaning rate. Please remember to take your personal property and belongings with you upon your departure as the Property Owner/Agent accept no responsibility whatsoever for any such items left behind. Please be sure to get travel insurance to insure your personal belongings no responsibility will be taken by Agent or Owner for stolen or damaged property on the premises. There is no smoking inside any of Short Perth Rental Properties. If there is evidence of such including a smoke odour you will be charged a fee of $200.00 to cover the cleaning of curtains, carpets and air-conditioning sterilization. Upon payment in full of your accommodation and booking fees, keys will be issued to you. All guests are responsible for the safekeeping of accommodation keys and call fees are payable if a replacement key is required after hours. Any missing keys will be replaced and the cost charged to your credit or deducted from your security bond. If a locksmith is required a call out fee of $100.00 plus the locksmiths costs will apply. Wifi is provided free for light usage only we provide so much for your stay. No downloading , streaming or gaming. If it is found the usage is excessive you may be charged from theyour security deposit or credit card without notice. Disclaimer: We recommend all guests purchase travel insurance since Management and Property Owners are not responsible for any injuries, illness, accidents, stolen or broken personal property that may occur whilst staying at our property. Any injury or loss suffered by the occupants, their invitees or guests whatsoever or howsoever caused due to negligence on my/our /their part. Short Rental Perth Apartments disclaims and will be exempt from liability in respect of anything misleading, false, incomplete or inaccurate and any errors, misdescription and all associated disappointment, loss, expense, damage, inconvenience, death, shock, injury or illness, however caused.